The Wyoming Department of Education (WDE) has released school accountability results for the 2017-18 school year. Full results are available online. The accountability results reflect the requirements of both state and federal law. 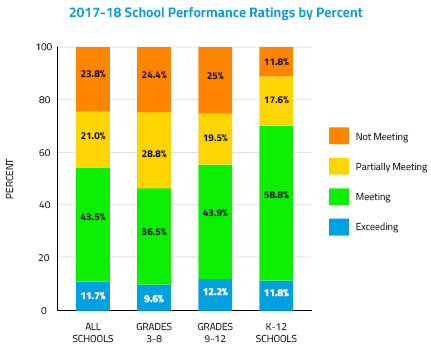 Under state law, all Wyoming elementary, middle, and traditional high schools receive one of four School Performance Ratings: Exceeding Expectations, Meeting Expectations, Partially Meeting Expectations, or Not Meeting Expectations. The School Performance Ratings show that 55.2 percent of Wyoming schools are Meeting or Exceeding Expectations. Alternative high schools do not have School Performance Ratings for the 2017-18 school year, as it was the final pilot year for alternative school accountability. School Performance Ratings for alternative high schools will be available beginning in the fall of 2019. Comprehensive Support and Improvement (CSI) is for Title I schools performing among the lowest in the state and any school with a graduation rate below 67 percent. Targeted Support and Improvement (TSI) is for schools that have a specific group of students that is not performing well. Additional Targeted Support and Improvement (ATSI) is for schools that have a specific group of students that is chronically not performing well. Under federal accountability, 21 schools were identified for Comprehensive Support and Improvement, 34 schools were identified for Targeted Support and Improvement, and two schools were identified for Additional Targeted Support and Improvement. 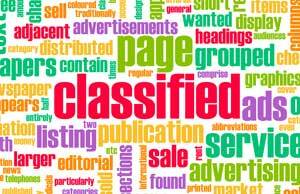 Changes in both state and federal law have impacted the measures used for accountability. Both now include the progress of students learning the English language and high schools factor in career readiness, along with college readiness. Additionally, WY-TOPP results were used to inform the accountability results.